GM PACKAGE™ - Subscribe Now! WHAT and HOW you learn makes the difference between success and failure. 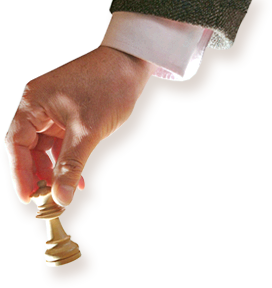 Grandmaster Package™ is our core chess course, designed for 13 months of serious chess training. At the end of the one-year program, the student should already have acquired information for 2200-2300 ELO rating strength. Lifetime Access to your account and all the lessons you purchased. Your account is updated on a monthly basis for 13 months giving you access to new lessons of strategy, tactics, annotated games, and exercises. You can stop / interrupt the course whenever you want. MONEY BACK GUARANTEE: Selecting the monthly program, you have a 25-day 100% money back guarantee for the first month purchased. If you feel that the course is not right for you, we will stop your subscription and send the money of the first month back to you. You will get immediate access to the first 6 months of the Grandmaster Package. Here you get the essentials of chess strategy, tactics, and thinking in chess. With this option, you save $30 US and will be able to buy the second part of the course whenever you want. Of course, you will have Unlimited Access to your account and Free Teacher Support. You will get immediate access to the Full 13-month Grandmaster Package, including the Advanced chess training and tests. With this option, you get the biggest discount. You have the above reduction and, in addition, one month for free. You are welcome to discuss any subject from our lessons with the teachers. We can help you with personal plan of study and individualized advice. After subscription, you get an account on our server. You can access your account for unlimied times. You can download your lessons and study at your own pace. We offer a 30-day 100% money back guarantee for the first month purchased when you choose the monthly program.